My beautiful, articulate, opinionated, loving, intelligent cousin Wendy (aka Vendela Vents!) unwillingly surrendered to her 2.5 year long illness this past Sunday morning. She fought her insidious disease valiantly to the end and never surrendered her fearlessness, her dignity, or her wit. She will surely be missed and always be loved by many and, for me at least, Tarot cards, Thanksgiving and Lamb Wontons will never be the same. That’s the moment I realized that one of the easiest and yummiest dishes I do has never made an appearance on this rag. Three ingredients and three minutes is all it takes to make an appetizing appetizer perfect for any summertime fete. NOTE: This recipe can be made with regular onion soup mix and canned crabmeat. However, I highly recommend using Knorr Leek Soup and the real crabmeat found in the refrigerated section of your local supermarket (usually near the meat department). Costco also carries a great lump crabmeat in their refrigerated section. 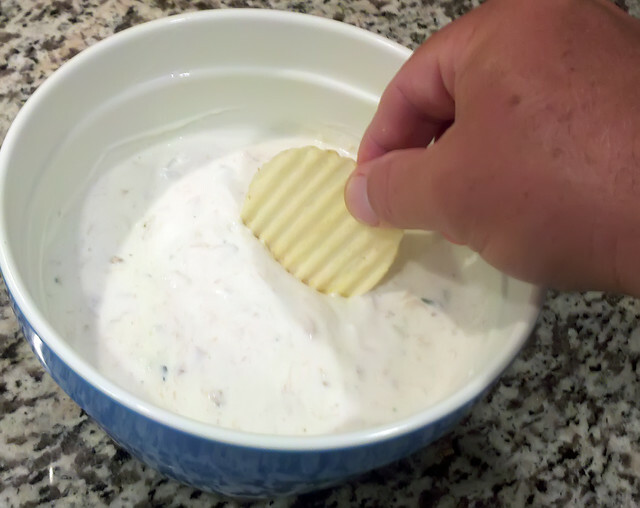 Additionally, though it doesn’t really make this a “healthy dish”, using the “Light” version of sour cream certainly cuts down on the caloric and fat content for those trying to watch their Caveish figure. 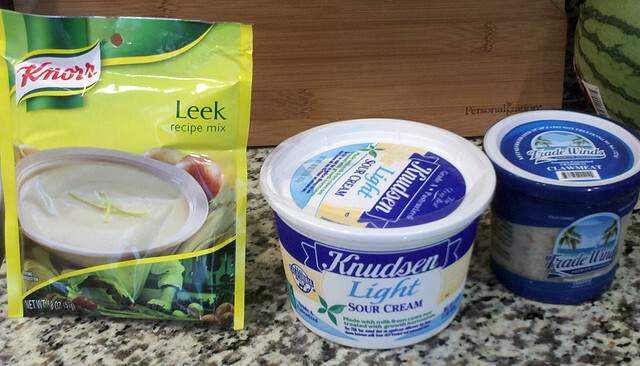 Place sour cream and soup mix into medium sized mixing bowl and stir until fully blended. 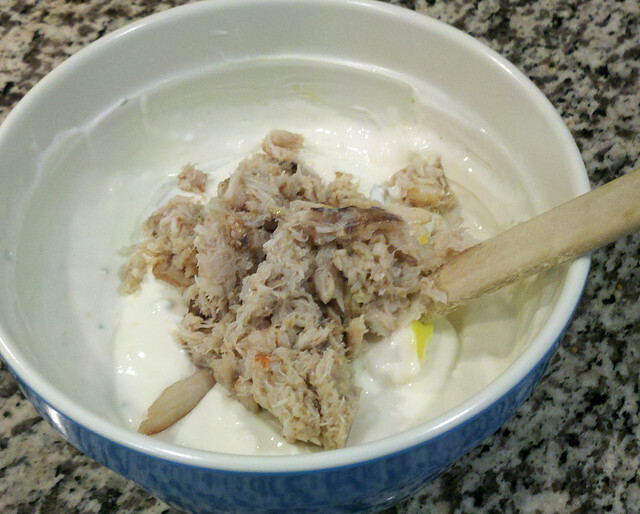 Now, place crabmeat into bowl and gently fold into sour cream/soup mixture. HINT: I like to have small lumps of crabmeat in my dip. If you prefer it a little smoother, go ahead and add the crab meat when you initially put in the soup mix. The extra stirring will smooth it out. Cover mixture and refrigerate for at least three hours … and that’s it! Just serve with your favorite dipping chip and be ready for the YUM! !